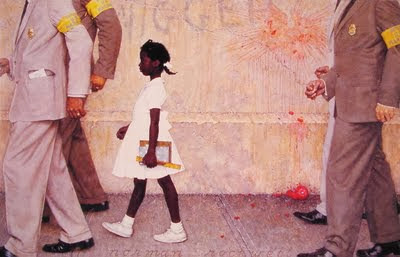 Norman Rockwell has been a favorite illustrator of mine for as long as I can remember. My parents even took me to The Norman Rockwell Museum on an East Coast trip when I was in High School. I will never forget getting to see his paintings in person. It's funny, because I just assumed that everyone loved Norman....I mean, what is NOT to love? Much to my surprise as I got older and studied art in college and eventually started working in the design field, I met my fair share of Norman Rockwell haters. They said that his work was too idealistic. Not real life. (which is what some critics said about him during his lifetime as well) I think he painted what he knew. He painted what he saw. Were there terrible things going on in the world in his time? Of course. But he chose to find the good and focus on the sweet yet profound moments. And there is nothing "idealistic" about the above painting - my favorite painting of his. That is definitely a "real life" snap shot...but notice that he still wasn't focusing on the hate and the ugly in that piece. Rather, he focused on the the little girl. He focused on her beauty, bravery, dignity, and importance. Even in the midst of the hardest times, I think we should look for the "Norman Rockwell moments" wherever we can find them. So yes, I am a proud Norman Rockwell fan and always will be. 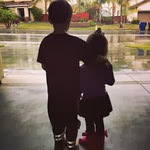 I will continue to take pictures of Batman and Ironman spontaneously pausing to say grace together before lunch or my kids watching the rain drops together any day. 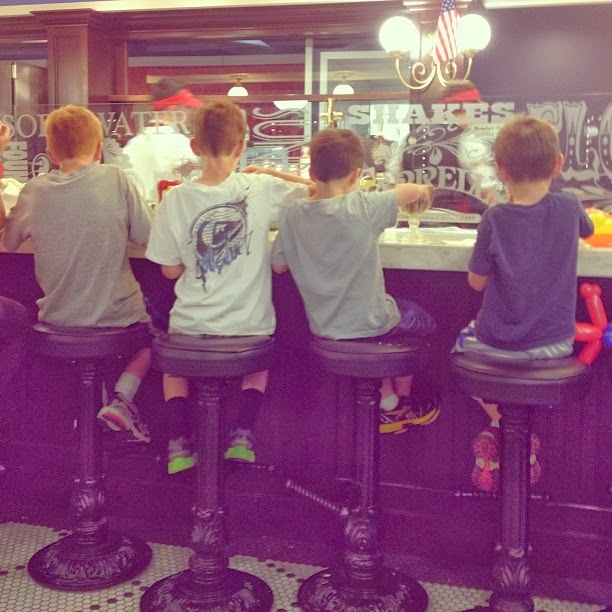 I will continue to seek out the Norman Rockwell moments in life - won't you? I think Mr. Rockwell would have loved the idea. Norman Rockwell 's paintings always stir up emotions of joy, innocence, wholesomeness, and happiness. His perspective is a reminder to be grateful for the precious moments that we so often take for granted in our daily lives. If we look carefully, and stop to purposefully capture those moments, I think we would be taken by surprise at the joy that fills our heart and wonder why we don't slow down more often in order to experience such warmth? This post is a great reminder to look for the positive, to seek goodness, to be the light... In all circumstances we can choose to see hope or hopelessness, opportunities or obstacles, Jesus or ? That's it. Just Jesus. 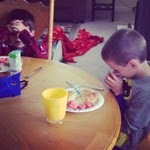 He is what can change our perspective and look for "Norman Rockwell" moments. Thanks for the reminder, Tori. well said - thank you for that.